String of pearls or string of beads. 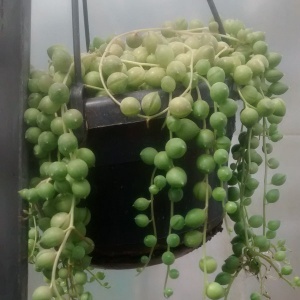 A creeping succulent vine trailing down, makes an easy house plant. White flowers in summer.